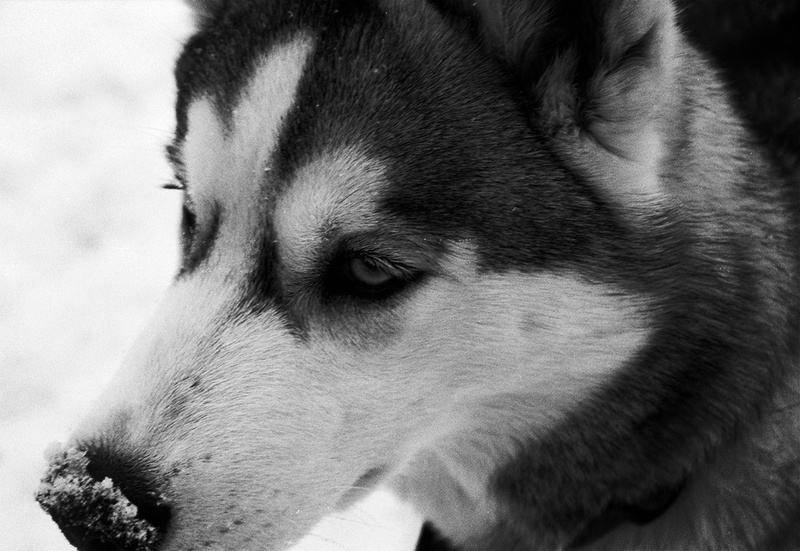 The very frosty Siberian Husky, “Loup”. Ilford Delta 100. Great picture of a great dog. I had a Siberian Husky for years. Nice close-up shot too. This close crop makes this dog look rather melancholic. Certainly a very compelling dog portrait. Woof Woof. Love the snow on the nose. Oh, how beautiful. Such great dogs and so many people fear them. I love that touch of snow on it's nose. Well done close up shot…Nice details..bravo! What a beautiful dog. And a nice shot too. Beautiful portrait of her – definitely one to print and frame. Great shot!